LAS VEGAS – As hackers increase in sophistication and the threat surface expands, cybersecurity needs to be a priority for all healthcare organizations. 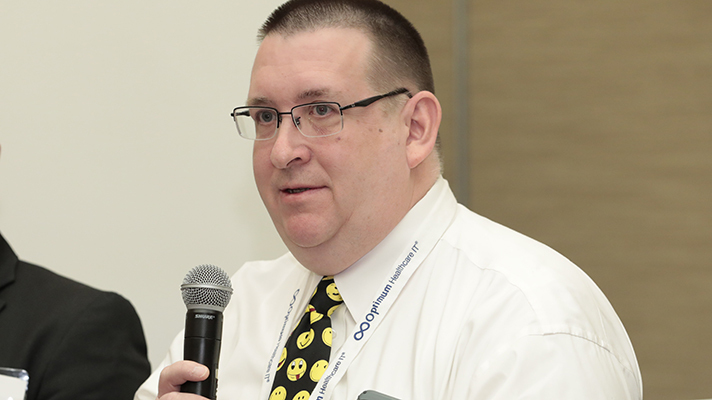 That’s especially true since many of the global cyberattacks in the last year -- like WannaCry and NotPetya, weren’t even targeting the healthcare sector, according to Albany Medical CISO, Kris Kusche during a HIMSS18 Allscripts’ meeting on data security best practices. Plus, technology is changing so quickly that it’s difficult to keep up, he added. The trouble is that budget constraints make security tough for many providers, while for healthcare providers in the private sector, patching systems and taking vulnerable equipment like MRI equipment offline -- isn’t always an option. “It needs to get to the point where we don’t need to fight for the budget,” said Dara Barrera, Michigan State Medical Society’s manager of Practice Management and health IT. “I want to be routine. I don’t want IT to be specially funded,” said Kusche. “I don’t want to have to say I need this special budget because then I will know [security] is part of the culture, part of the DNA of the organization.” And having a culture of security within an organization is crucial, given that people are one of the greatest weaknesses.